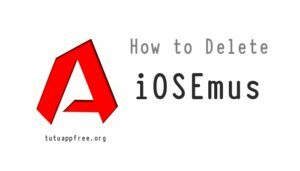 If you didn’t get any jailbreak tools for your latest iOS version then there is a good news for you, we are introducing iOSEmus Installer which let you download your favorite Cydia tweaks, apps, and games on your iOS device. Since Apple has launched their all new iOS 10, we didn’t get any stable jailbreak for that, that’s why we are unable to access Cydia on your device. Now onwards you don’t need to worry as iOSEmus arrived in the market, which let you access modified games and apps without jailbreaking your device. Download iOSEmus and install your favorite games and apps from the installer. Though iOSEmus arrived newly in the market it provides easy access to the apps you are looking for, which updates on regular basis. Download iOSEmus without jailbreaking your device, the best part of it is you don’t need to provide Apple ID, that means your information is safe and at the same time, it will not void your Apple warranty. Although it is accepted globally still if you have downloaded it and not like this then you can delete it anytime from your device. Here we are showing you how to delete iOSEmus from your device. We are explaining below two ways of deleting it from your device. Go to your home screen, find the iOSEmus icon. Tap and hold on the icon. You will get “wiggle ” mode, tap the cross from the corner of the app icon. Now tap on Delete, the app will be deleted from your device. Go to Settings app then General > Profile. Go to profile for iOSEmus and tap on it. Now Exit from the Settings App. While downloading iOSEmus and find Profile Installation Failed Error then open the given link to fix it. Let us know commenting below your experience on iOSEmus and follow us on Facebook.